Federation Chair Liz Wilson welcomed 36 people representing 11 clubs to the NWFCC Annual General Meeting at Culcheth last Saturday. 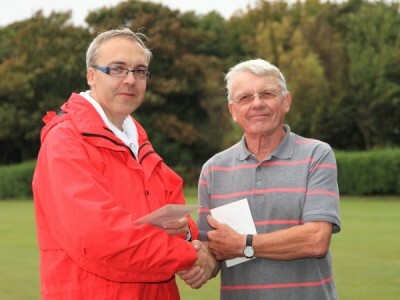 A special warm welcome was extended to representatives from two new clubs – Tattenhall and Craig y Don. She reported on a successful year despite the weather. The main administrative task was to participate in research concerning the role of Federations within the CA. The Treasurer Bob Connop through Peter Wilson presented a report showing a healthy increase in Federation Funds. Janet Davies, Development Officer reported an encouraging start to two new clubs – Tattenhall (10 miles from Chester) and Craig y Don (Llandudno) who have grown to 41 members already. There is also a possibility of another club forming in Nannerch (near Mold). Janet described the various club awards and grants available from the CA and urged clubs to contact her for more details. Geoff Young (CA Representative) via Barbara Young reported there were major ongoing discussions regarding new proposed CA membership and tournament fee structures – we await more details with great interest. Ken Cooper (Coaching Officer) reported a very successful coaching season with a wide range of courses throughout the region including a Coaches Training Course and also specific courses at three of our newer clubs. Ken is now retiring from this post and was given a well deserved and heartfelt round of applause. Tony Thomas (League Manager) reported on a very wet season with many matches postponements which necessitated the season being extended by two weeks. The League Rules have been scrutinised as never before in order to decide various courses of action under difficult circumstances. All league titles were won on merit and appreciation was recorded to all team captains for coping with changing dates and keeping the League Manager updated as the season progressed. Paul Rigge (Pennine Cup Manager) reported on this years match which was won by the north east team. There was a constructive discussion of changes to the league rules for 2013 and changes were agreed to pre season administration, format of Golf matches, timing of double banked Golf games. The most controversial change was eventually passed unanimously defining matches postponed due to an agreed emergency will be declared void unless the league manager is informed within three weeks of a re-arranged date. Teams postponing matches for other reasons prior to the agreed date will forfeit the match unless they can agree before the scheduled date a new fixture. Games abandoned during play will be void unless players involved and captains can unanimously agree a result. The meeting agreed a new Golf Croquet Midweek League should be attempted, the format being level play Golf Croquet, three players per side. League Team Entry Forms will be adapted to incorporate the new initiative. Dates were agreed for 2013 – Millenium competitions, Festival, various tournaments throughout the region. League trophies wrere presented by Liz Wilson to Ken Cooper on behalf of Bowdon Saints (Advanced League), Ron Welch on behalf of Pendle (Handicap League), John Dawson on behalf of Chester (Midweek League), Brian Rust on behalf of Bowdon (Short League) and Geoff Whittaker on behalf of Pendle (Golf League). Minor changes were agreed to the Federation Constitution followed by the election of Roger Schofield to Coaching Officer and Jean Hargeaves as Child Protection Officer. All other officers remain in post. The meeting heard many interesting reports of activities at various clubs, the weather being a common feature and its effects upon lawns and matches. It was good to hear success stories of players achievements and club successes, all demonstrating what a thriving and successful Federation we have in the north west. The next meeting will be on 2nd March at Culcheth. Lionel Tibble beat James Hawkins to win the final of the Southport Advanced Weekend on 15-16 September to take the Sandiford Salver. 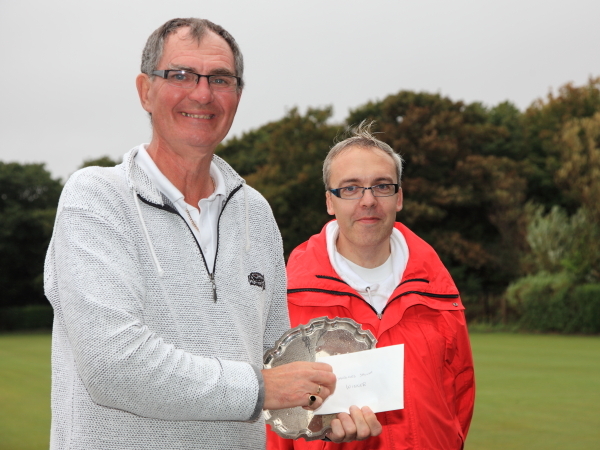 Mark Ormerod beat Phill Scarr to win the plate event, on a day of miserable drizzle. The spectators’ highlight of the event was the endgame between Brian Christmas, in his first A class event, and Dave Nick. Brian had been pegged out while for 4-back vs 3 and peg. In some adventurous play, he jawsed his ball in penult from corner 2 before Dave scrambled round to peg. Dave took out one ball, leaving partner six inches from the peg and Brian near corner 3; Brian hit his last shot to win by 1. Alan Pidcock bt Brian Kerr +7; Brian Christmas bt Derek Knight +3(T); Mike Sandler bt Dennis Scarr +3; Peter McDermott bt Collin Southern +21; Carol Lewis bt Mark Lloyd +1; Dave Nick bt Lionel Tibble +9TPO; Alan Pidcock bt Mike Sandler +24; Brian Kerr bt Dennis Scarr +14; Dave Nick bt Ray Lowe +12; Collin Southern bt John Haslam +11; Brian Christmas bt Peter McDermott +17; Jerry Guest bt Derek Knight +24; Mark Lloyd bt Derek Knight +22; Dave Nick bt Brian Kerr +5; Dennis Scarr bt Collin Southern +23; Mark Ormerod bt Dave Nick +5; Phill Scarr bt Jerry Guest +15; Brian Christmas bt Alan Pidcock +4; John Haslam bt Mark Lloyd +9; Dennis Scarr bt Derek Knight +23; Carol Lewis bt Collin Southern +22; Brian Kerr bt Mike Sandler +15; Jerry Guest bt Mike Sandler +19; Mark Ormerod bt Phill Scarr +16; Mark Lloyd bt Dennis Scarr +13; Derek Knight bt Brian Kerr +15; Lionel Tibble bt Brian Kerr +26TP; Brian Christmas bt Dave Nick +1. 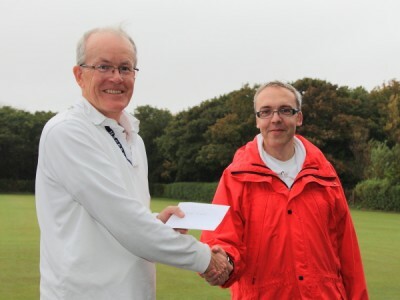 Matt Holmes won the Selectors' Weekend beating Luc Berthouze in the final. The knockout stage of the Selectors' Weekend was contested by Matt Holmes, Luc Berthouze, Paul Castell and Nick Steiner, all of whome had five wins out of seven after two days. Luc was concerned that his lift back to Sussex could be in danger were he to beat Paul, but took the risk and did so anyway +14. In the other semi-final between Matt and Nick, the start of the game was scrappy with several breaks failing to progress. But then Matt turned to a bottle of Ramsbottom Craft Brewery Ale – proprietor M. Holmes Esq. (which had also been on sale during the weekend) and saw a James Death-esque upturn in his fortunes, going on to win the semi-final +14, and then defeat Luc in the final +13. The weekend saw only one completed TP, by Roger Wood in the very first game of the tournament to finish, though he later also tried to claim a “TPTP” (triple peel in three parts). And in the final game to finish (Rod Ashwell, maintaining his 100% record on that front, though this time not under floodlights) Rod ran 4-back from next to hoop 1 – his other option being retreating to corner 3, he thought he may as well have a crack at the hoop. The long-distance shooting wasn't enough to win the game though. Final records (swiss & knockout combined): 7/9 Matt Holmes; 7/10 Nick Steiner; 6/9 Paul Castell, Luc Berthouze; 5/8 Roger Wood, Jaimie Mussi, Rod Ashwell; 5/9 David Mooney; 4/8 Beatrice McGlen; 3/7 Frances Ransom; 3/8 Richard Huxley, Martin Beacon; 2/8 Derek Knight; 1/8 David Brydon; 1/9 Kevin Wells.